Nokia has released the beta version of its new Play To app, which will allow its Windows Phone users to stream content from their mobiles to other DLNA (Digital Living Network Alliance) connected devices. These days DLNA streaming is found in most mid and high-end smartphones, with both Android and iPhone handsets offering various ways to share content with other devices. However, with the Windows Phone mobile OS DLNA functionality is sorely missing, until now. Nokia has developed its simply named Play To app, which allows Windows Phone users to stream photos and videos to devices such as TVs, game consoles and laptops from their Lumia handsets. Audiophiles may be disappointed to see that music streaming is currently not supported by Play To, but Nokia has confirmed that this feature will be included in a future version of the app. If you fancy taking the beta version of Play To for a spin head over to the Nokia Beta Labs site, where you'll be able to download the application. Nokia has also made a minor update to its music app, now called Nokia Music 2.0. Early signs indicate that the upgrade mainly consists of wording changes within the app - with no new features added. 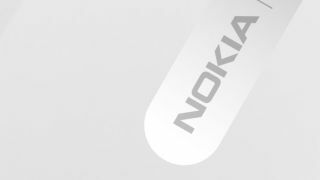 We hope Nokia integrates its planned DNLA music streaming service into a future upgrade for Nokia Music 2.0.